These examples of the structural impact of modernity on freedom and liberty have a ring of truth about them. But they fail to tell the whole story. There is, historians and philosophers remind us, also the impact of ideas and ideologies. 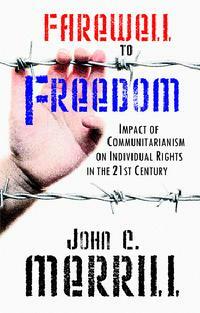 ... And herein lies the important contribution that John C. Merrill�s Farewell to Freedom book makes to the field. This book is ideal for upper-level undergraduate and graduate courses that focus on the tension between the individual and the collective.